Forensic psychologists often work within the judicial system in such diverse areas as determining an inmate's readiness for parole; evaluation of programs; criminal competency; tort liability and damages; eyewitness testimony and evidence; jury selection; and police training. 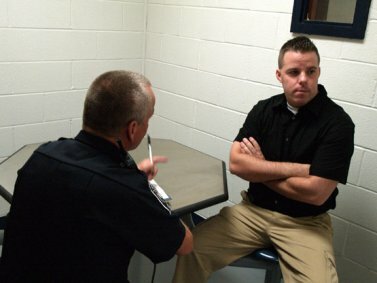 Forensic psychology may also be employed in other areas of jurisprudence, including patent and trademark disputes, and custody cases, product liability, and taxation. Forensic psychologists advise their clients in several ways, including diagnostic appraisals, which may be used to determine the competency of the client to stand trial, and contributing to defense strategy. They are also called upon to render clinically based opinions on a wide variety of issues arising from their diagnoses, such as the best interests of a child in a custody case, or the readiness of a prisoner for parole. Finally, forensic psychologists advise on the prognosis and treatment of the individuals under evaluation. In most cases, they obtain a "forensic history, " which includes hospital records, police reports, witness statements, and provide relevant research. Besides submitting reports on their findings, they are sometimes required to testify in court.